Can I eat Jaggery (Gur) during pregnancy? Can I eat jaggery during pregnancy? Sugar is usually something we are told to avoid at all costs, pregnancy or not. In pregnancy, especially, we are told to cut down on our sugar consumption, as this can lead to multiple complications both for the mother and the baby. That’s a bummer. But, when we say sugar, we mostly mean the refined version, the white sugar that we mostly use in confectionaries and other foods. When taken in its raw form, however, sugar has multiple benefits, even for the pregnant woman. And jaggery is actually the rawest form of sugar, obtained from the sugarcane plant, and used extensively in a number of dishes, nicely acting as a substitute for refined sugar. So if you are wondering whether you can eat jaggery in pregnancy, the short answer is yes. Of course, that is only as long as you are not over indulging in the good stuff and keeping your consumption to a healthy amount. 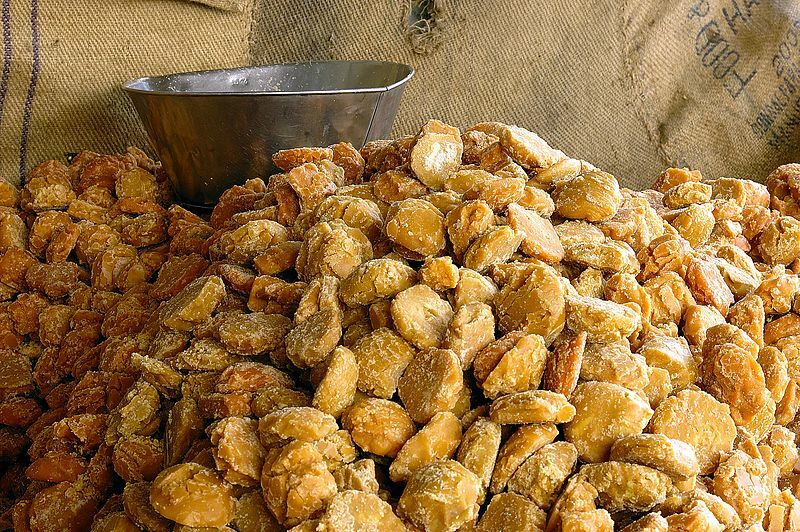 Jaggery is widely used in the production of sweets and other confectionaries in many parts of the world, especially in Asia. In pregnancy, it is not uncommon to be raving for sweet foods, and you might find yourself indulging in guilty pleasures like calorie dense ice creams, cakes, and what not. But uncontrolled consumption of sugar can lead to a host of problems, including undue weight gain and the possible onset of gestational diabetes. Besides, sugar weakens your immune system, which will make you prone to a variety of illnesses and allergies. Substituting jaggery for white sugar will help you curb those issues. However, do remember that even the good jaggery will get you in trouble if you do not control consumption, so do not overindulge. Jaggery is a very good digestive agent, which makes it come as a boon to the pregnant woman. Digestive problems plague every pregnant lady, who is not stranger to bloating, gas formation, diarrhea and constipation. There seems to be no end to those issues, but jaggery can certainly curb their incidence. The presence of unrefined sugars in jaggery triggers the release of digestive enzymes, and you are able to process your food properly and not be prey to uncomfortable and embarrassing problems like flatulence, bloating, and diarrhea. They also help regulate your metabolism, so that you do not put on weight in excess of what is required for the pregnancy. Fluctuations in blood pressure are not unheard of in pregnancy, and sadly this is a very dangerous condition. Jaggery helps in keeping your blood pressure under control because of this low sodium and high sugar content. Besides, it is also a great source of antioxidants, and helps in purifying blood. Apart from having a glowing skin, blood purification will also result in boosted immunity, both for you and the baby. Also read: Can I eat Nutella during pregnancy? Jaggery can be used in a number of confectionaries. You can also use it to sweeten your tea or other beverages. However, do keep in mind that jaggery still contains ample amounts of sugar, so you must not consume too much. Ask your doctor before making the switch from regular sugar to jaggery. 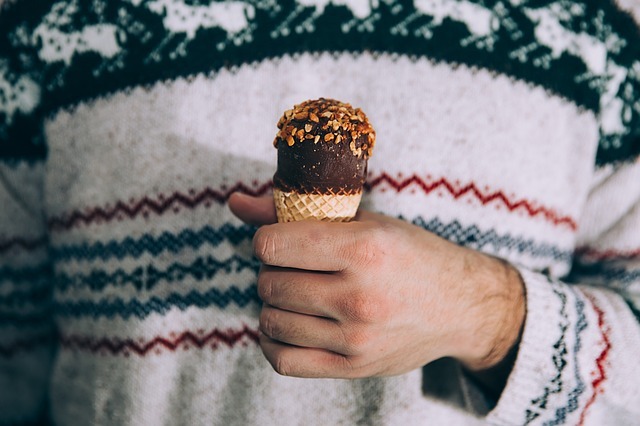 Can I eat ice cream during pregnancy? 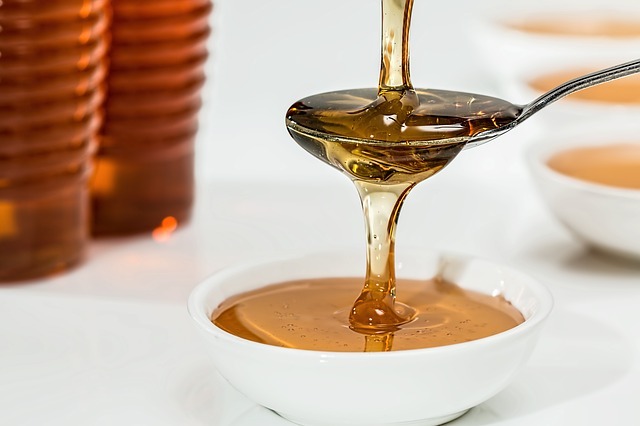 Can I eat honey during pregnancy?